Shares of Apple soared 5.4% or $8.32 in after-hours trading to $154.68 following the company's release of fiscal first quarter earnings. 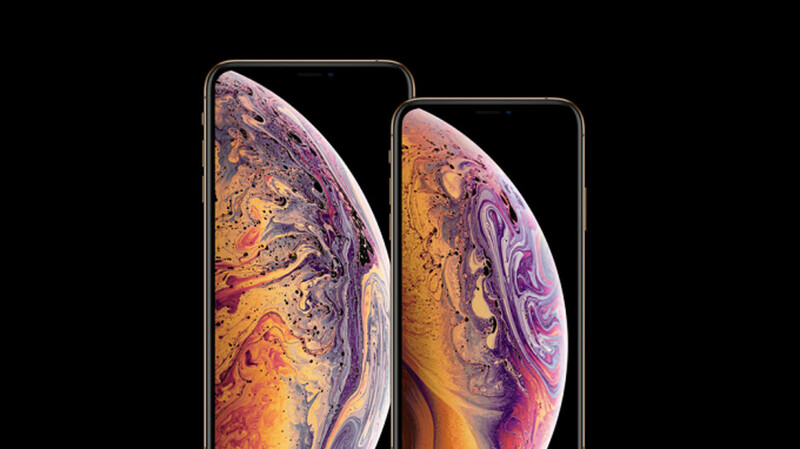 While Apple is no longer reporting the number of iPhone units sold in the period, the tech giant announced that revenue from iPhone sales declined to $51.9 billion from $59.8 billion during the same quarter a year ago. That works out to a 15% decline. Apple says that it now has 1.4 billion active devices, an all-time high. Services revenue hit an all-time quarterly high at $10.9 billion, up 19% year-over-year. The most profitable segment for Apple, the company aims to hit $50 billion in annual services revenue by 2020. This group includes Apple Pay, the App Store, Apple Music, AppleCare, iTunes and more. Revenue from tablet sales rose 17% over last year, while a new all-time quarterly record for revenue was set by the Wearables, Home and Accessories segment. That business includes the Apple Watch and the HomePad smart speaker. Fiscal first quarter revenue slightly surpassed revised estimates of $84 billion. Earlier this month, Apple lowered its guidance from the original $89 billion-$93 billion it forecast. That lead to a 10% drop in Apple's stock price the very next day. Earnings per share met Wall Street estimates of $4.18 a share, up 7.5% year-over-year and a new company record. Net income, at $19.96 billion, was lower than the year earlier's $20.07 billion. Apple was able to set a record for EPS because it has been constantly buying back its shares. With the U.S.-China trade war, and rising Chinese nationalism taking bites out of Apple's business in the country, Apple rang up $13.17 billion in China during the three month period. That was off 27% from the $17.96 billion Apple grossed in China during the 2018 fiscal first quarter. Cook blamed the drop in iPhone sales on the strong dollar, which made the iPhone more expensive in China and in other foreign markets. The executive also said its discounted battery program, the end of carrier subsidies and the longer upgrade cycle were also factors. For the fiscal second quarter, which covers January through March, Apple expects revenue to fall in between a range of $55-$59 billion. Since Apple's ASP went up as well, then that means they sold a lot less actual iPhone units. iPhones took a pretty big hit, other segments cushioned the blow though. Take this as a shot in the arm Apple, and give the consumers a better iPhone. Wallets are speaking. MiGA Make iPhone Great Again. No thanks, we've had enough of apple. Time to make it a case study. I haven't had enough of Apple. I'm not an Apple hater, and want to see them make better devices, which is good for competition. Apple just needs to stop resting on its laurels, and get back to innovative thinking. Nothing wrong with the devices, never been as happy with an iPhone as my current iPhone X, but they do need to adjust the prices. It has increase _alot_ in my country the last two years. Personally dislike iPhones but the last thing I want is for Android to have no competition. That services revenue is not gonna last if people don't buy iphones. They'll need to rely on subscription percentages for bottom line services revenue, and maybe decrease the size of free cloud storage available. Apple could also charge monthly fees for some of their less buggy/more popular apps. Depends. Apple does make Apple Music accessible on Android devices, so it really is dependent on whether their new TV service will follow suit or not. And how good said services are. I’ve heard Apple Music is horrible on Android but still the app has 10 million installs (versus 100 million of Spotify which goes to show they have a long uphill climb). I buy if it is 120-125 per share. growth is not possible anymore, who would've thought! f**king greedy rich people. you know what? find aliens and try to sell them iphones. And the decline will continue! It was their second highest q results ever. Also shareholders liked the numbers. They are now seeing the big picture. Apple lies through it teeth about it's userbase. Cook himself said the other week that it increases the userbase when someone trades in an old iphone for a new one, that it adds a new device to the userbase. What he didn't say is that the old device is not removed from the userbase, they class said device as still in commision even though most traded in phones are scrapped for recycling So these traded in devices should not be included in userbase stats. sure they do sure they do ;) hard to accept the truth? Either way you see it, still a bang-up job by Apple... not the biggest quarter ever, and certainly a decline from last year, but ASP is up, revenue was still pretty strong, and investors are generally going to be happy about it.